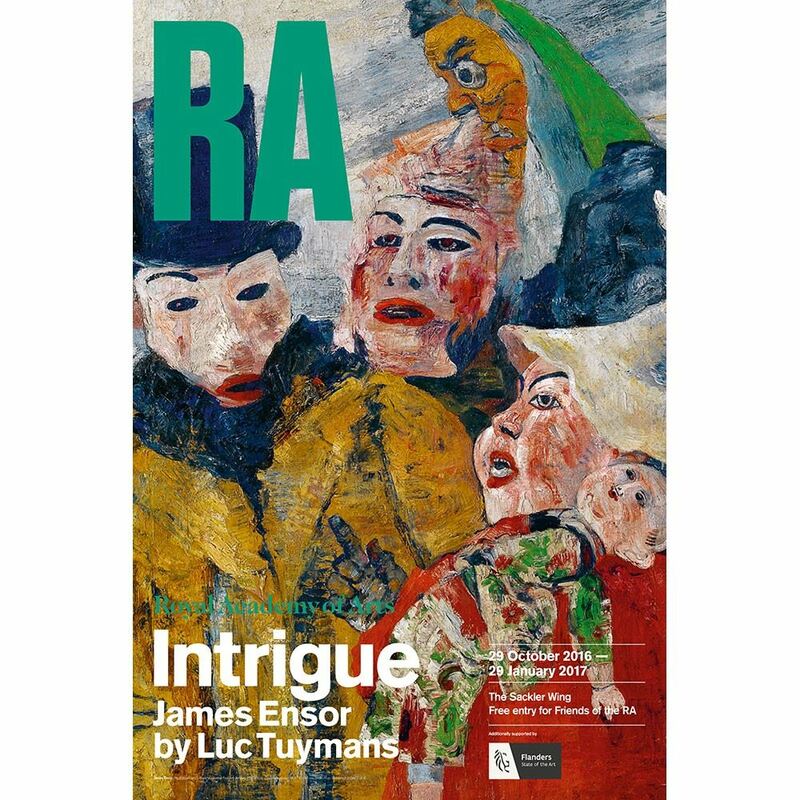 We are delighted to invite you for a group visit to "Intrigue: James Ensor by Luc Tuymans" at the Royal Academy on Friday 27 January 2017. This exhibition, organised with the support of Flanders House, has been one of the highlights of London's autumn season. While some of you may have had the chance to visit this show, we thought it would be nice to organise a group visit before the exhibition draws to a close on 29 January 2017. The Royal Academy has late evenings on Fridays. The reduced £5 registration fee for this event will include a complimentary audio-guide for anyone interested (general admission tickets are £10). Places are limited and will be allocated on a first-come-first-served basis, so do register as soon as possible.